Your favorite stories from childhood have a new twist. 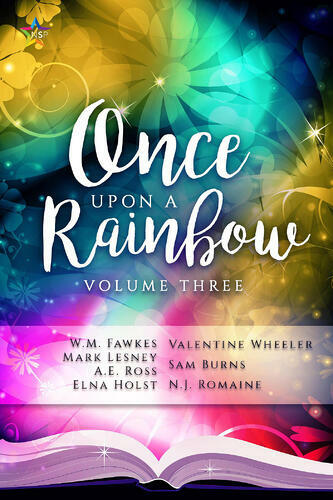 Seven fairy tales of old with characters across the LGBTQIA+ spectrum. Green Things Grow from Cinders by A.E. Ross – Glass slippers aren't for everyone. Gretel on Her Own by Elna Holst – This time around, Gretel Kindermann is on her own. Or is she? Bremen Town Musicians by Mark Lesney – Loss and love on the road to Bremen Town. The Scent of Magic by N.J. Romaine – Who can win a hunt against the Big Bad Wolf? The Rescue by Sam Burns – Saving princesses is hard work. Getting out of marrying them is harder. Loose in the Heel, Tight in the Toe by Valentine Wheeler – The shoe fits, the prince is won: now what? Baile de la Marioneta by W.M. Fawkes – No one else can pull his strings. One’s proud, one’s prejudiced, and they can’t stand each other. Quick-tempered Bennet Rourke dislikes Darius Lanniker on sight. Darius may be a hotshot city lawyer, but that doesn’t give him the right to sneer at Bennet, his friends, and their college. It doesn’t help that Bennet’s restaurant job has him waiting at Darius’s table. 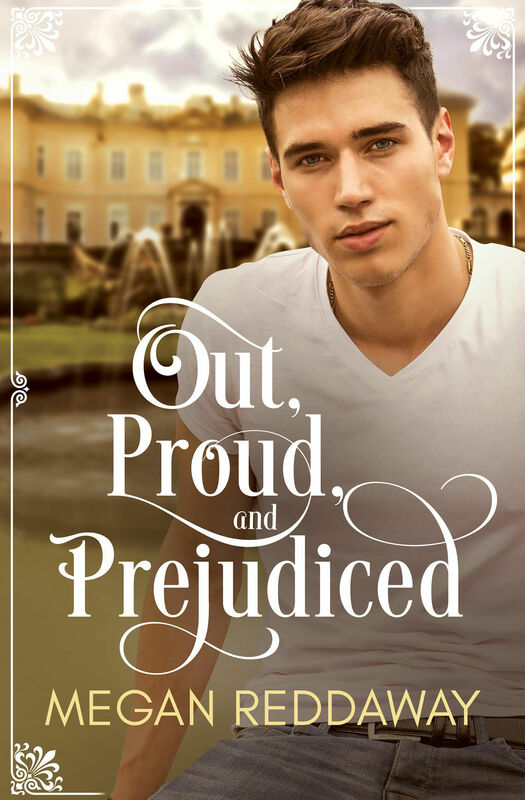 So when his tutor recommends him for an internship at Darius’s Pemberley estate, Bennet isn’t sure he wants it. He’s also not sure he can afford to turn it down. Darius is a fish out of water in the small college town of Meriton, but something keeps pulling him back there. He’s helping out a friend with business advice, nothing more. If he’s interested in Bennet, it’s not serious. Sure, Bennet challenges him in a way no other man has. But they have nothing in common. Right? Wrong. Their best friends are falling in love, and Bennet and Darius can’t seem to escape each other. Soon they’re sharing climbing ropes and birthday cake, and there’s a spark between them that won’t be denied. But betrayal is around the corner. Darius must swallow his pride and Bennet must drop his prejudices to see the rainbow shining through the storm clouds. A standalone novel—a modern retelling of Jane Austen’s Pride and Prejudice. Note: contains mention of past abuse. Three thousand years ago, a god told a lie. Now, only a goddess can tell the truth. Persephone has everything a daughter of Zeus could want--except for freedom. She lives on the green earth with her mother, Demeter, growing up beneath the ever-watchful eyes of the gods and goddesses on Mount Olympus. But when Persephone meets the enigmatic Hades, she experiences something new: choice. Zeus calls Hades "lord" of the dead as a joke. In truth, Hades is the goddess of the underworld, and no friend of Zeus. 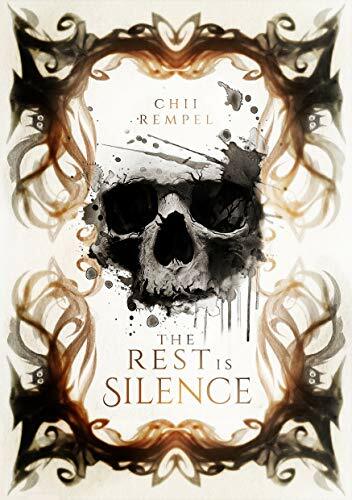 She offers Persephone sanctuary in her land of the dead, so the young goddess may escape her Olympian destiny. But Persephone finds more than freedom in the underworld. She finds love, and herself. 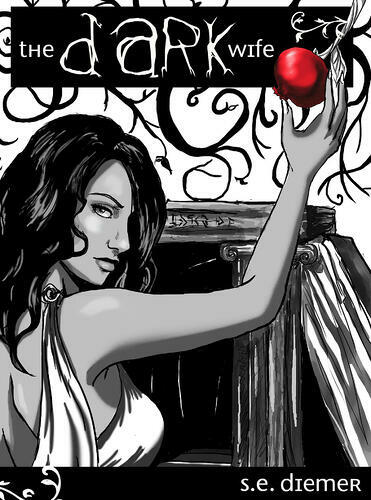 The Dark Wife is a YA novel, a lesbian revisionist retelling of the Persephone and Hades myth. 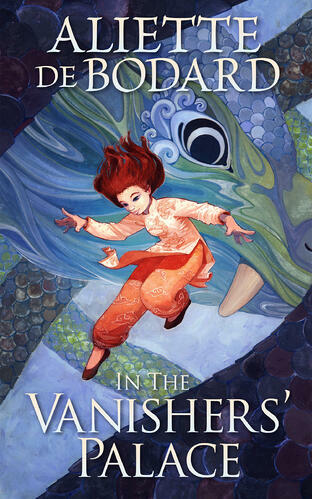 It won the 2012 Golden Crown Literary Award for Speculative Fiction. Inspired by one of Shakespeare's greatest classics, this is a story about love. Alexander is a prince betrothed to his absolutely charming and beautiful friend. Tough luck that he is not attracted to her in the least. Or to any woman, for that matter. Why did he have to fall for his best friend, the son of the captain of the king's guard and - most importantly - a man? It would have been so much easier to just marry Arcadia and have cute little babies with her. But Xander's life is never easy. And it is about to get so much more complicated. Second chances only come around once. Eight years ago, Adam Elliot made the biggest mistake of his life. Now that mistake is coming back to haunt him. His family’s beloved vineyard has gone into foreclosure, and the new owner is the sister of the only man he’s ever loved—the man he dumped under pressure from family and friends who thought the match was beneath him. When Freddy Wentworth, aka the bad boy of Bishop’s Glen, left town with a broken heart, he vowed never to return. But a recently widowed friend needs his help, so here he is. He’s a rich and famous celebrity chef now, though, so everyone can just eff right off.But some things are easier said than done. Despite their attempts to resist each other, old love rekindles—and old wounds reopen. If they want to make things work the second time around, they’ll have to learn to set aside their pride—and prejudice. 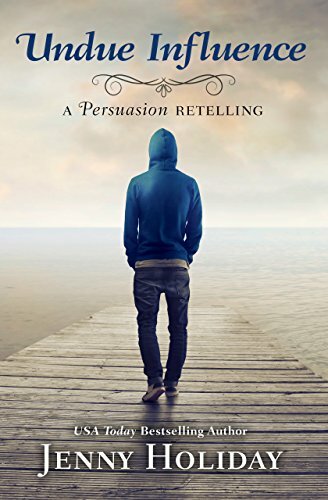 This modern retelling of Jane Austen’s Persuasion is a standalone novel that can be enjoyed by Austen-philes and by those allergic to the nineteenth century.